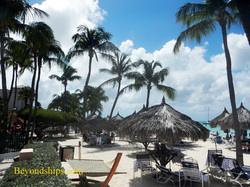 Aruba's most popular attraction is its beaches. The majority of these are located along the western shore of the island north of Oranjestad. They are characterized by clear water, fine sand, and often have either natural or man made shade nearby. 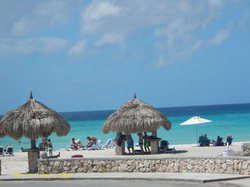 All of Aruba's beaches are public. However, chairs and shade huts are often owned by the adjoining hotels. Beach﻿, (see separate article). It has been called one of the world's 10 best beaches and many of the major resorts border this beach. 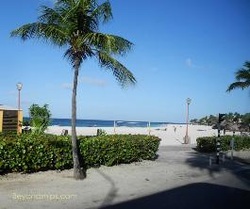 The beach has been extensively developed with bars and cafes. Sun loungers, umbrellas and water sports equipment are available from the concessions. 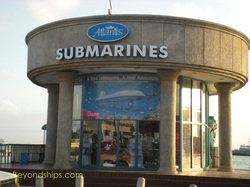 Nearby are up-scale shops and venues operated by internationally-known brands. soft, clean sand and calm waters. 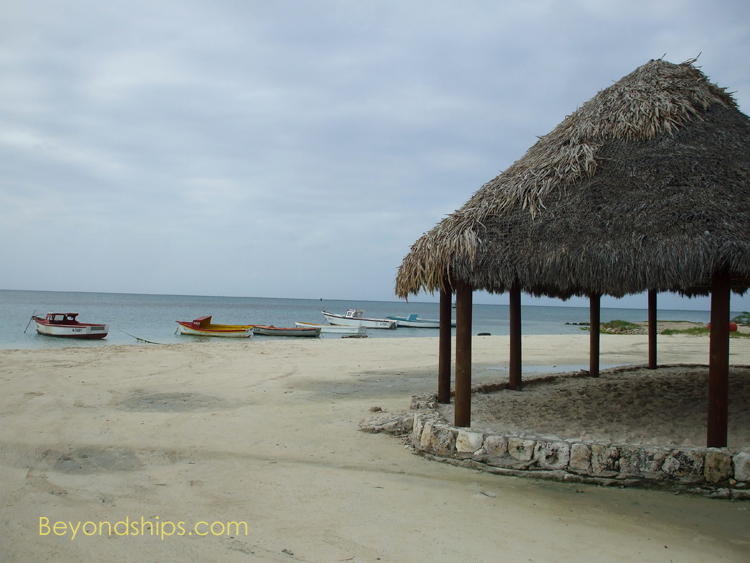 Even closer to Oranjestad is ﻿Punta Brabo﻿ (Manchebo Beach). 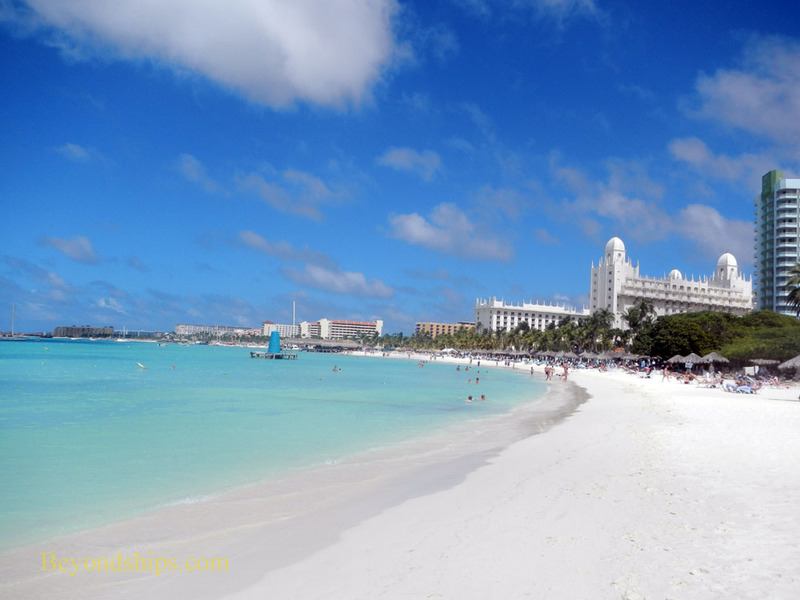 There are other beaches on Aruba. At the northwest tip of the island are beaches bordering the new resort communities. A popular beach at the other end of the island is Baby Beach, which has an extensive area of shallow water. This makes it attractive for children, snorkelers, and beginner swimmers (not shown). The waters around Aruba are unusually clear with visibility ranging up to 90 feet. Combine this with a number of shipwrecks in the shallow waters off the coast and Aruba is a particularly attractive place for underwater exploration. In addition to scuba diving and snorkeling, visitors can explore the underwater sights in tourist submarines and semi-submersibles.